The 400 Market was started in 1986 as a flea and farmers market. Since the 400 Market has opened, successfully, it has increased in size with three expansions, to its present-day size of 105,000 sq. ft. Even the vendors became more sophisticated with their merchandise. However, the flair of the old flea market still exits. A real ambience has evolved over the years. For some people, it is the place to bring visitors from out-of-town, or their friends. For others, it's a family tradition to get to spend time in an environment that is fun for everyone. 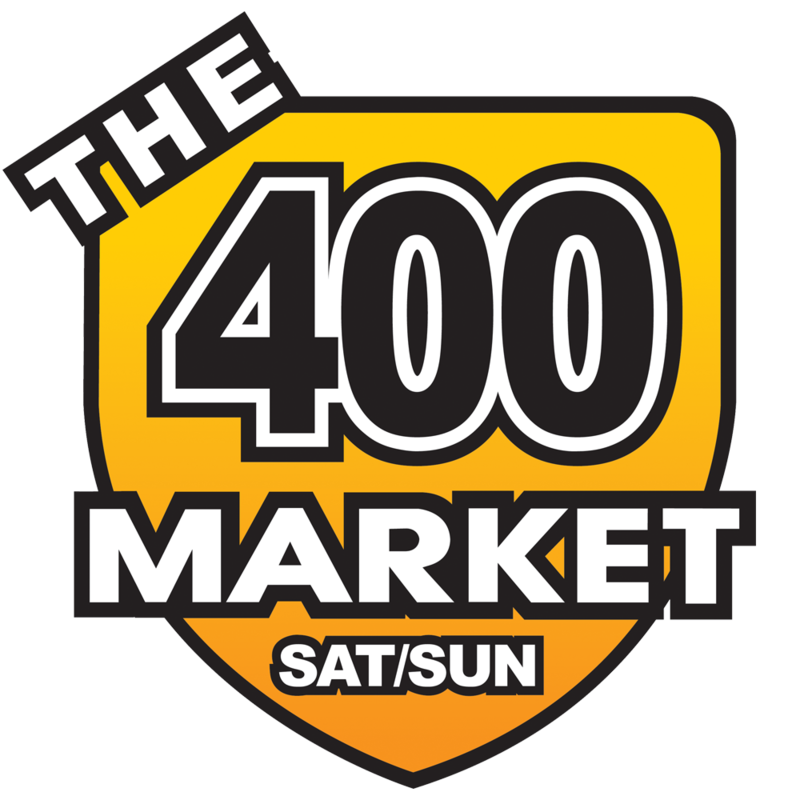 The 400 Market is where you can find everything from diamonds to doughnuts, the diversity of products is second to none. Some products are new to North America and not found anywhere else! Thousands of shoppers pass through our doors every weekend. Fifty per cent of all the visitors to the 400 Market are from outside a fifty-mile radius. It's become a landmark on the highway, and a shopping destination which draws people from Toronto to Sudbury. Vendors, for the most part, are operating their own businesses at the Market, so friendliness is more than just a slogan. The vendors are the ones responsible for the happy shopping experience when people visit the famous 400 Market. The 400 Market is open year-round every Saturday and Sunday from 9 to 5 every weekend. There are presently 500 merchants under one roof with an additional outside. The 400 Market also houses a full-time Antique Mall that is 30,000 sq. ft. open 7 days all year round from 10am to 5:30pm and can be contacted at Roadshow Antiques (705) 436-6222.